The Big 12 Men’s Basketball Tournament continues Friday at the Sprint Center in Kansas City. HeartlandCollegeSports.com will be there for the entire event. Today we preview the championship game — Iowa State vs. Kansas. Season series (1-1): Iowa State def. 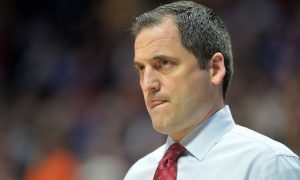 Kansas, 77-60, in Ames, Iowa, on Jan. 5; Kansas def. Iowa State, 80-76, in Lawrence, Kan., on Jan. 21. Winner gets: The Big 12’s automatic berth into the NCAA Tournament. Big 12 Tournament results: Iowa State def. Baylor, 83-66 (quarterfinals), def. Kansas State, 63-59 (semifinals). Kansas def. Texas, 65-57 (quarterfinal), def. West Virginia, 88-74 (semifinal). Iowa State: Shayok. 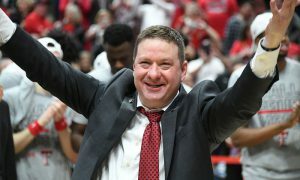 The man was a cold-blooded basketball player on Friday night, scoring 21 points and hitting the key shots down the stretch to help Iowa State get to the championship game. His 3-pointer with less than a minute left was a step-back thing of beauty, and then he hit the two free throws to ice the game. He’s been Iowa State’s most consistent player all season and, in key situations, he’s the player they turn to. 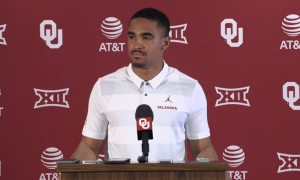 He scored 21 points against Kansas State on Friday and made all eight of his free throws. 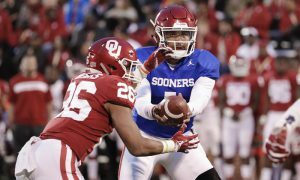 If Saturday’s game is close, watch Shayok. He’ll be the guy taking the big shots in the final minutes. Kansas: Lawson. He’s been a consistent theme here. Sure, Quentin Grimes hit 5 3-pointers in the first half to help Kansas to an 8-point lead at halftime. 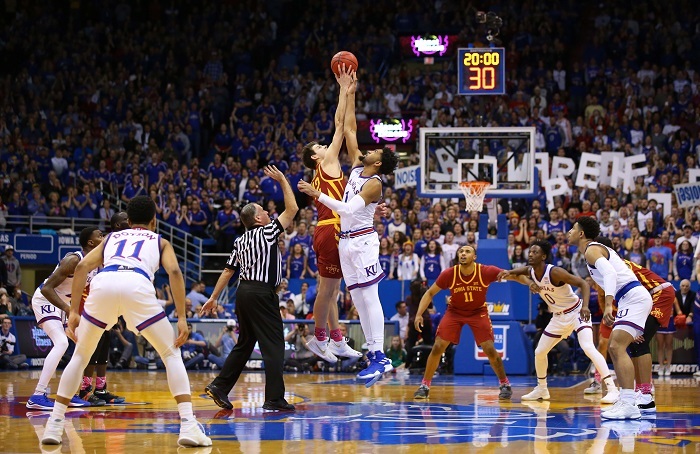 But when the game concluded Lawson had 24 points and 8 rebounds, and his steady play inside and outside helped the Jayhawks nurse that lead for the rest of the game. He’s a front-runner for Big 12 Player of the Tournament at this rate. And while some of Kansas’ players go up and down he’s a model of consistency. Don’t expect Grimes to hit 5 3-pointers again on Saturday. But Lawson going for 24 and 8? That could certainly happen again against Iowa State. That’s what great players do. Iowa State: No injuries to report. After Friday’s win over Kansas State the Cyclones are 19-18 in the Big 12 Tournament and 4-2 overall as the No. 5 seed. Iowa State is also 11-2 in its last 13 Big 12 Tournament games. The Cyclones are also 4-0 in the Big 12 Championship game. 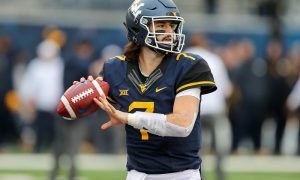 Their most recent title came in 2017 when they beat West Virginia in the final. ISU also beat Kansas in the 2015 championship game, 70-66. Kansas: No injuries to report. Grimes had a bit of a cramp during the second half on Friday but appears to be OK. Kansas is 46-11 all-time in the Big 12 Tournament and has a 6-1 record as the No. 3 seed. That loss came to Texas in 2004. Kansas has made 13 appearances in the Big 12 Championship game, with a record of 11-2. Along with the 2015 loss to Iowa State, Kansas’ only other title game loss came in 2002 to Oklahoma. Kansas has won two of the last three Big 12 Tournament titles. Iowa State: Cyclones forward Michael Jacobson had 16 rebounds against Kansas State, which was a career high. The 43 rebounds as a team matched Iowa State’s best all-time in a Big 12 Tournament game. 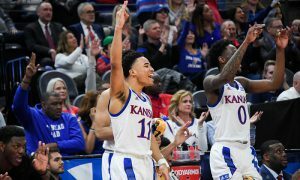 Kansas: With Grimes’ explosion of 3-pointers on Friday, he passed Sherron Collins, Mario Chalmers, Billy Thomas and Brandon Rush on the Jayhawks’ all-time list of 3-pointers made by a freshman. Who wins? : We have two teams that love to play up-tempo basketball. 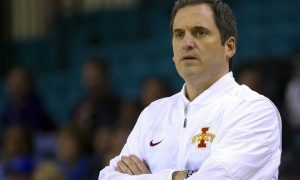 Iowa State is a deeper team right now than Kansas, but both live to create off the break and off the dribble. The Jayhawks are probably a better defensive team overall and have the muscle inside to push around players like Jacobson. But, Kansas is not a consistent 3-point shooting team, whereas the Cyclones are one of the league’s best from the arc. There’s a differentiator. Another for the Cyclones is the fact that they’ve shot well in both games. Kansas had a significant shooting lull in the semifinals against West Virginia. So Kansas has an edge inside. Iowa State has an edge outside. 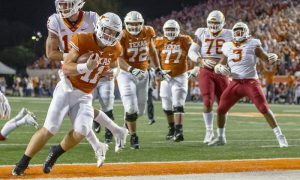 The difference maker could be if this becomes a game of runs, and that’s where turnovers can come into play. Both teams had real trouble hanging onto the basketball in their semifinal wins. Iowa State had 17. Kansas had 16. Could it be the team with the fewest turnovers wins? If so, I think that favors Kansas just a bit because of their defense. Still, when I look at the momentum thus far in this tournament, I think it favors Iowa State. Plus, as noted above, Iowa State has won every Big 12 title game it’s played. I’ll take the Cyclones to win this one by a Shayok jumper in the final minute.